The brown bear is a species with large spatial requirements, low reproductive rates and very sensitive to habitat loss and fragmentation and to human disturbance, especially in winter. The impact of human persecution on the current distribution range of the species has been significant, so the habitats presently used by bears do not necessarily represent the most suitable for the species. 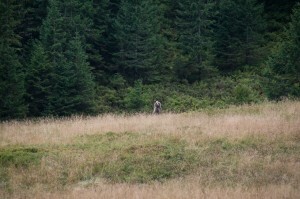 The areas occupied by bears must provide not only abundant food, but also the opportunity to cover. In adult individuals there is a considerable sexual dimorphism in body size, males being bigger. Within and between-year variation of individual body weight is also very large. Bears are omnivores. The composition of their food varies depending on the local food availability and season. At the biogeographical scale, their diet also changes with the location (latitude, longitude and altitude) and mainly with environmental factors (temperature and snow cover). In the forests of the temperate zone, fruits and invertebrates prevail in bear diet, whereas in the tundra vertebrates do. In some locations, food of anthropogenic origin (e.g. supplemental food, fruits from orchards) represents the main component of bear diet. The annual cycle of bears is divided into four physiological states: winter dormancy, hypophagia, normal activity and hyperphagia. Far north, winter dormancy may last even longer than 7 months; however, in populations from warmer regions some individuals may stay active throughout the year. Activity during winter has been documented for example in the Cantabrian population. 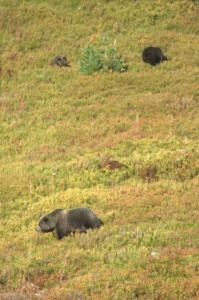 The length of winter dormancy varies among bear populations and, as a general pattern, the higher the latitude, the longer the period of hibernation. Pregnant females enter winter den sites the first and emerge from them the last. The duration of winter denning also depends on the age of individuals. Adult males are the last to den and the first to leave their dens. Females with cubs stay relatively close to their den sites until mid-May. 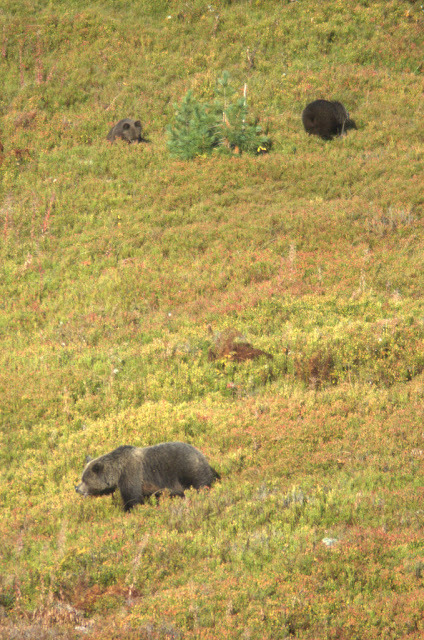 Although bears usually show a high degree of fidelity to their denning areas, winter dens are reused only exceptionally. The mating season of the brown bear usually begins at the beginning of May and lasts till July. The individuals at reproductive age belonging to both sexes mate multiple times often with several partners. Cubs are born during winter dormancy from December to March. At the time of birth, cubs are bald and blind and weigh about 350-500 grams. The average litter size ranges from 1.3-2.6 cubs and varies among populations. Cubs in one litter can be sired by different fathers. The reproductive period of females can last from 3 to 29 years of age, with the highest productivity at the age of 8-9 years. In most populations, the mother nurses her offspring for 1.4 to 3.5 years. The largest mortality among brown bears occurs in the first year of life. Infanticide by males is considered to be a major cause of cub mortality, at least in some populations. In most brown bear populations the main cause of mortality is of human origin. In nature, the oldest bears observed were over 30 years; the oldest captive bear was 50 years old, and the oldest female 42 years. 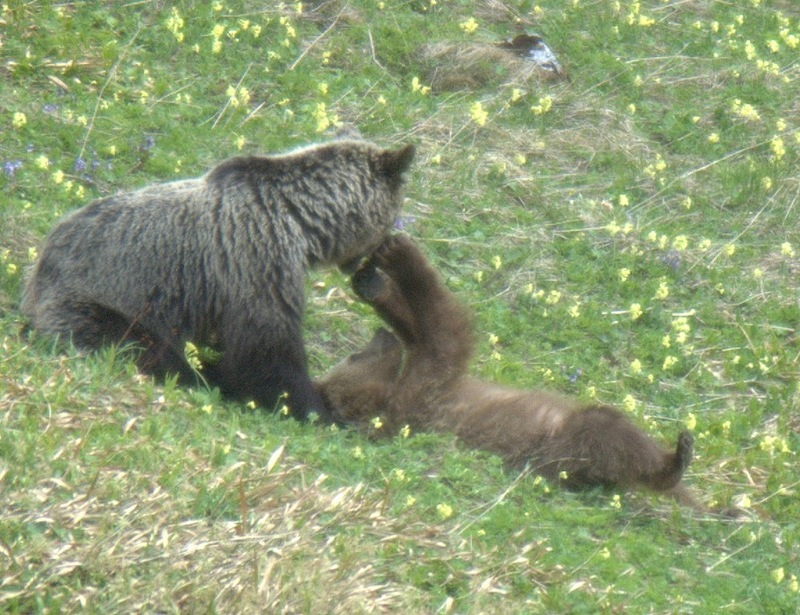 Brown bears are not territorial, and their home ranges significantly overlap. This overlapping is greatest in the case of females, especially if they are kin-related. Home ranges of males are usually larger, encompassing those of several females. Annual home range sizes vary considerably among populations. In Europe, the home ranges of males vary from 128 km2 in Croatia to 1,600 km2 in central Sweden, whereas for females vary from 58 km2 to 225 km2, respectively. Dispersing young males may have annual home ranges up to 12,000 km2. In Scandinavia, females at the age of 2 to 4 years move on average 28 km from the center of their natal home range, while 4-year old males disperse an average distance of 119 km. The maximum dispersal distance recorded is 467 km for males and 90 km for females.